Thanks to the generosity of a private collector, Norman Rockwell’s 1946 painting, Willie Gillis in College, which features a student in his Middlebury dorm room with Old Chapel visible in the background, has returned to the Middlebury College Museum of Art on extended loan. 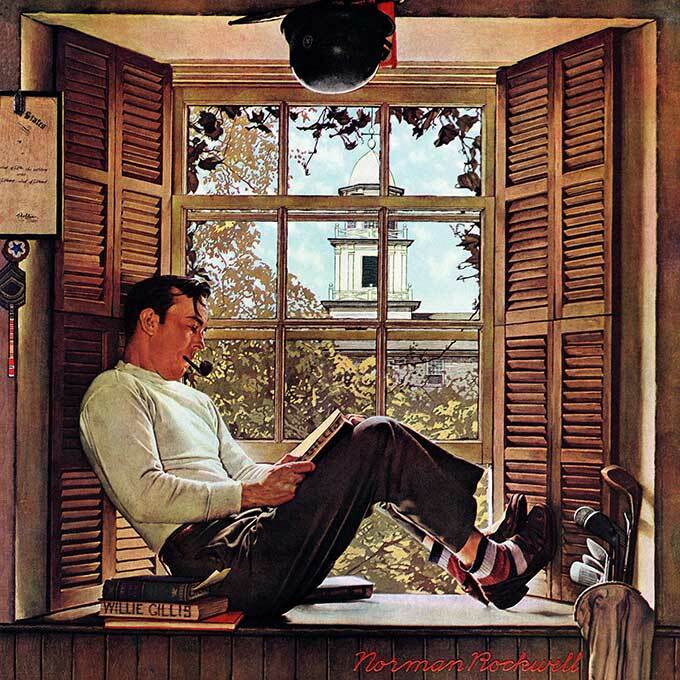 Rockwell’s painting was previously on loan to Middlebury in 1992 as part of the celebratory opening of the Middlebury College Museum of Art. 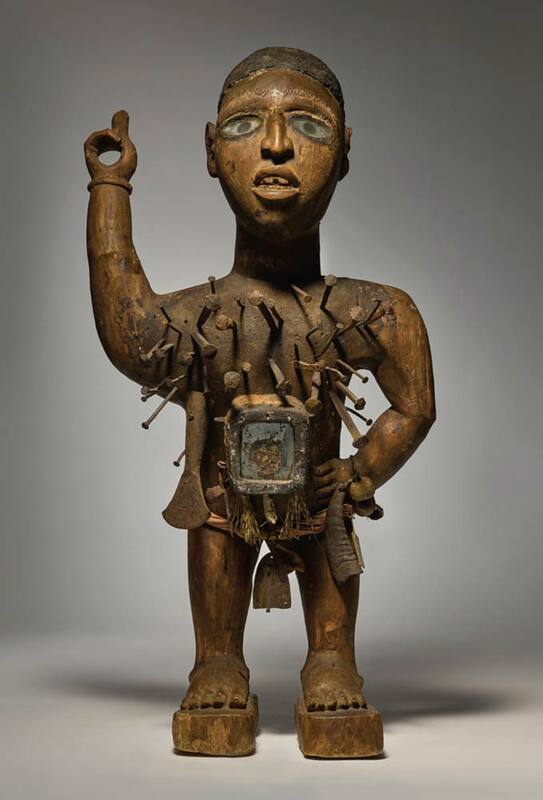 Over the past fifty years the art collection at Middlebury has grown to nearly 6,000 objects that range from the antique to contemporary and include works in a great variety of media from different cultures around the world. This exhibit features fifty works—one from each year back to 1968—which chronicle the growth and evolution of the collection. 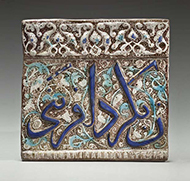 This fall the Museum will showcase the history and breadth of Islamic art in a landmark exhibit on loan from the Newark Museum. The more than 100 works on display in Wondrous Worlds: Art and Islam through Time and Place reflect aspects of faith, culture, and everyday life of Muslims across the world and throughout the ages. 2018 marks the fourth summer that the Middlebury College Museum of Art has run MuseumWorks, an intensive internship and professional development program for Middlebury students interested in pursuing careers in the cultural sector for the public good. 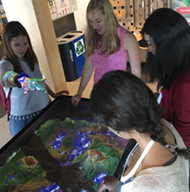 Since its founding in 2015, MuseumWorks has helped 18 motivated Middlebury College undergraduates take their first steps toward successful and ethical careers in the arts.